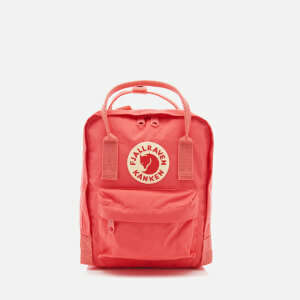 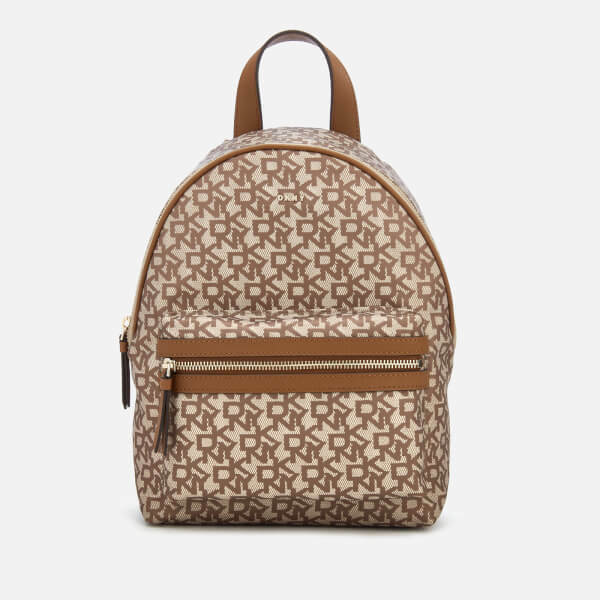 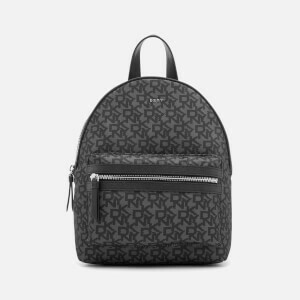 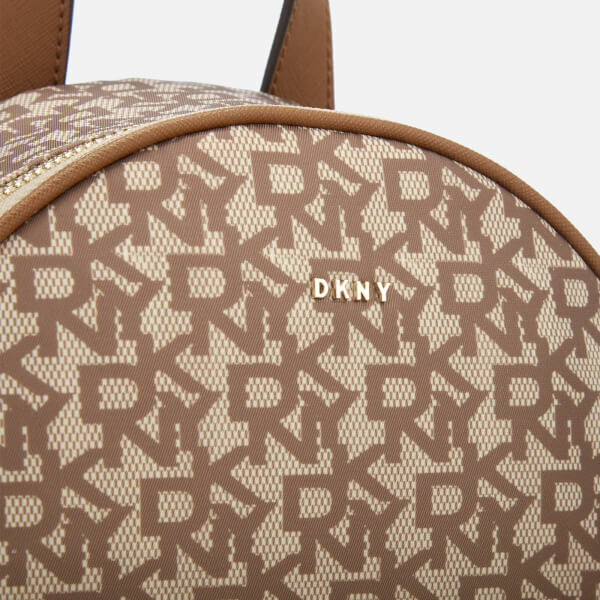 The DKNY 'Casey' backpack is made from durable fabric and adorned with the brand's repeat DKNY logo print. 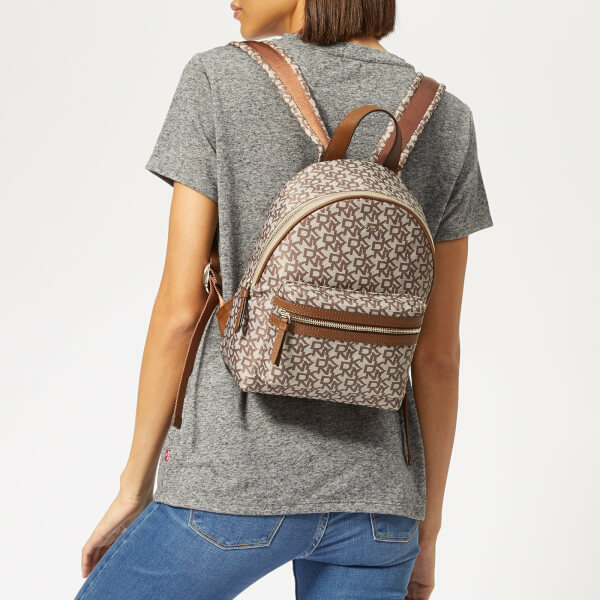 A versatile bag for every day, the medium rucksack features a zipped pouch pocket to the front for extra storage, and a zip-around fastening that conceals a logo-lined interior with three slip pockets, one zip pocket and a key fob. 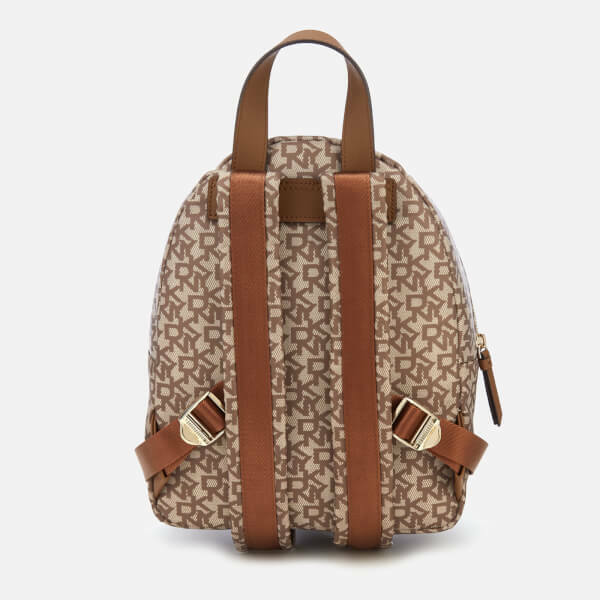 Finished with faux leather trims, a top handle and adjustable, padded shoulder straps. 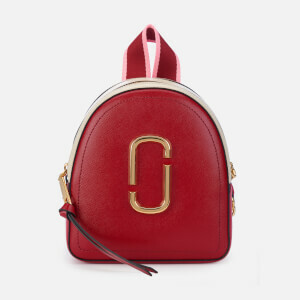 Gold tone branding and hardware.